1. 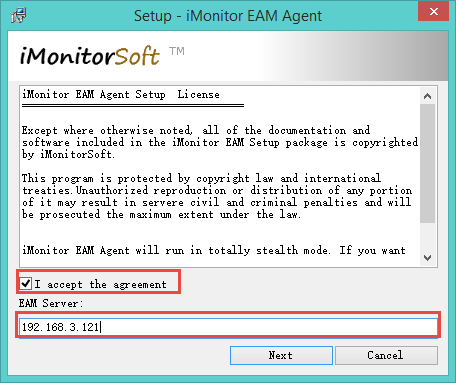 Please add EAM Agent folder "C:\windows\system\sys\syscon" and main program file path "C:\Windows\system\sys\syscon\mssys.exe" and "C:\Windows\system\sys\syscon\mskes.exe" into the exclusion list of the antivirus. 3. 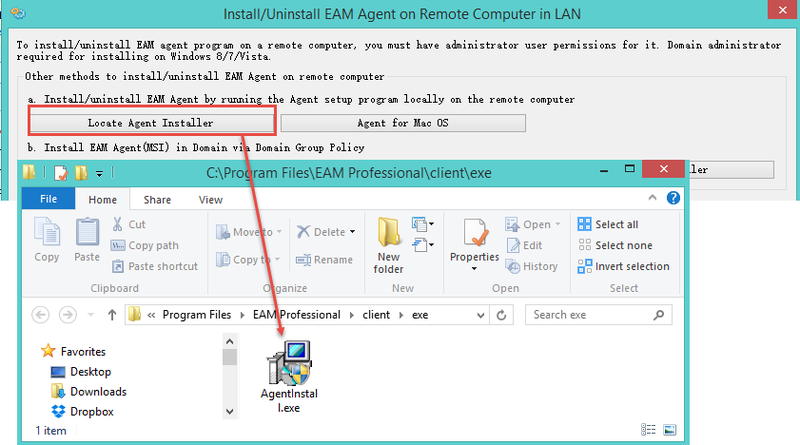 Click Home -> Install Agent -> Locate Agent Installer File, you will get the Agent installer file "AgentInstall.exe". 4. Go to the remote computer that you want to monitor. 5. Make sure this computer is connected to network and TCP/IP protocol is installed properly. 6. Transfer "AgentInstall.exe" to this computer and run it. 7. Read the license agreement. If you accept the terms of agreement, tick "I accept the agreement". 9. Click ‘next’ to install the Agent program.